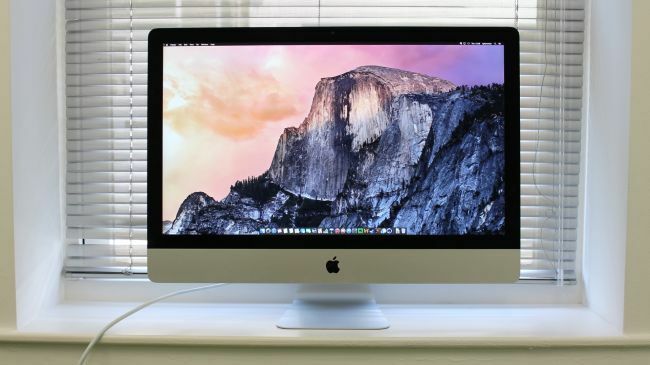 Is a 4K-equipped 21.5-inch iMac on the horizon? New iMacs are in the pipeline and will be unveiled soon, with major improvements promised including a better display, according to the latest Apple-related rumour. MacRumors reports that an analyst from KGI Securities, Ming-Chi Kuo, a prominent participant when it comes to the Apple grapevine (so to speak), has said that new iMacs will arrive in the third quarter (i.e. next month). These models will have Intel processors with more grunt (unsurprisingly), and moreover a higher quality display with better colour saturation. So not only can we expect more striking colours, but also a “much better” quality all round – and let's face it, Apple's displays are no slouch as it is, so it's pretty exciting to think about what sort of screen might grace these new iMac models. Also, this has prompted further whispers of a Retina Display-toting 21.5-inch iMac, but the analyst had nothing to say on that matter. That would certainly be a crowd pleasing move, as would a boost from the not-so-speedy 5400RPM hard drives which currently nestle in the base configuration iMac models. However, all possible upgrades have to be balanced against the price, naturally. The iMac range currently starts at £899, which nets you a 21.5-inch model with a 1.4GHz dual-core Intel Core i5 processor, 8GB of memory, and a 500GB hard drive (of the aforementioned 5400RPM variety). In Apple's recent earnings report, while revenue was largely driven by the iPhone (as ever), the company also noted that it hit record sales of Mac computers for the third quarter – and Cupertino will be hoping to build on that. Also check out: Is the Apple Watch the best smartwatch around?